If the sound has stopped working on your rw6800 series iPAQ, but audio can still be heard through headphone then the internal speaker has failed. This is the replacement needed to restore audio functionality. 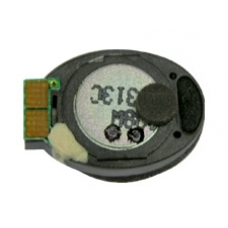 This speaker is mounted in the plastic housing on the iPAQ button board. Please note although this model uses two speakers this product is one speaker per pack, as it is most likely that only one speaker will fail.